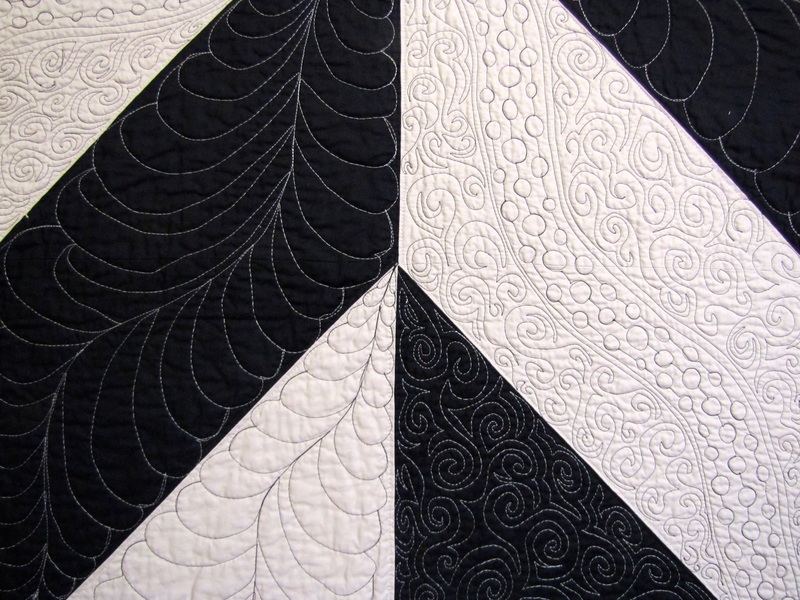 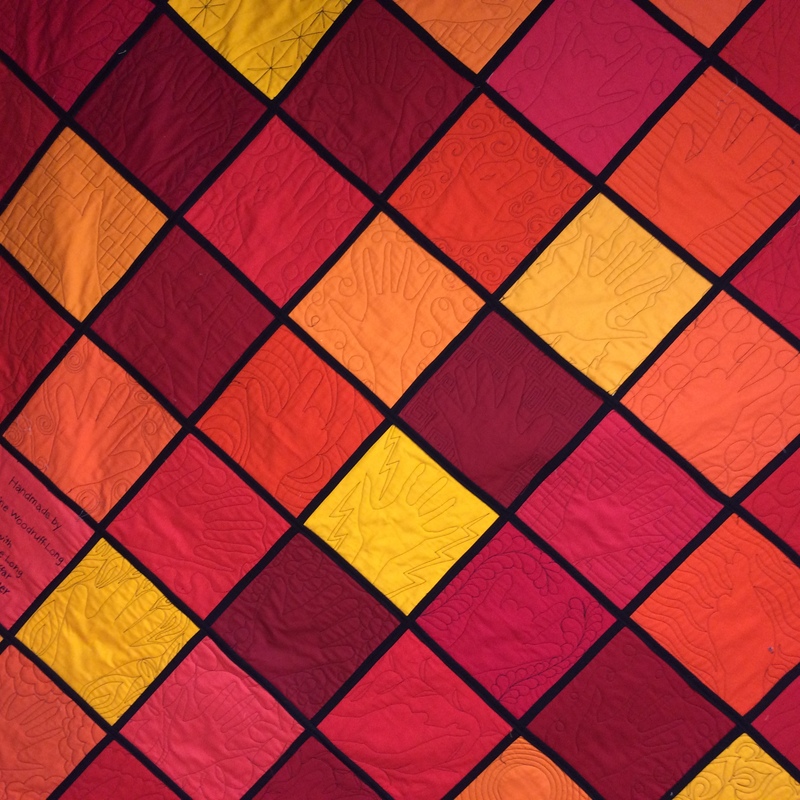 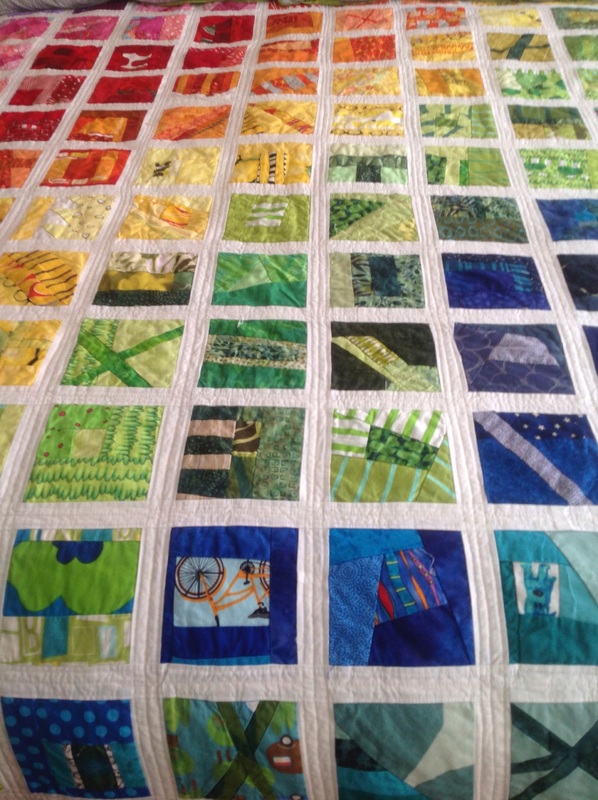 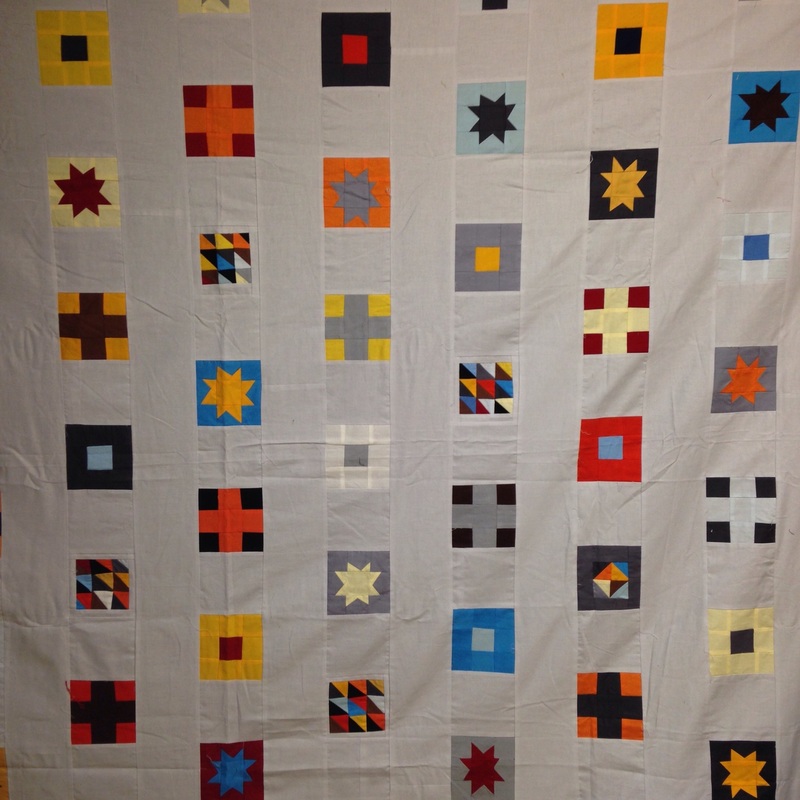 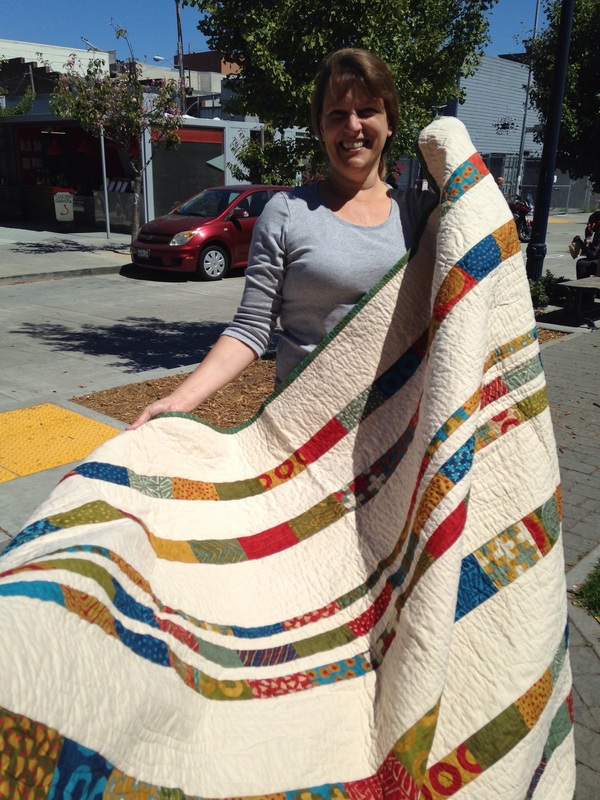 Quilts I made in 2014 – most are pieced, quilted and bound. 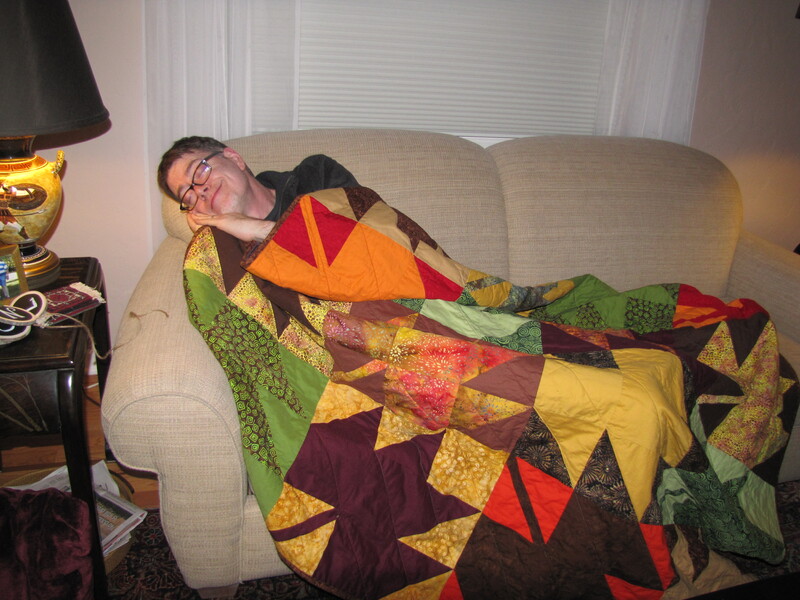 My brother, Mark, sleeping happily under his new quilt. 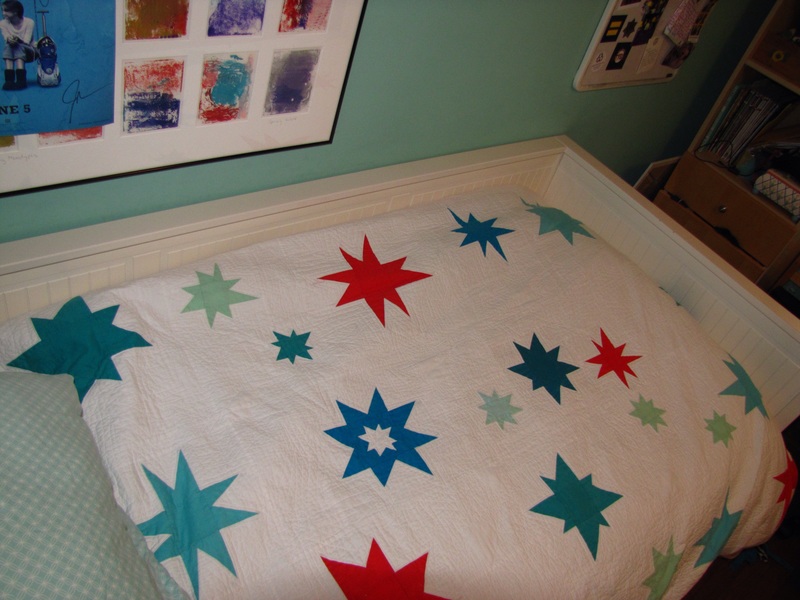 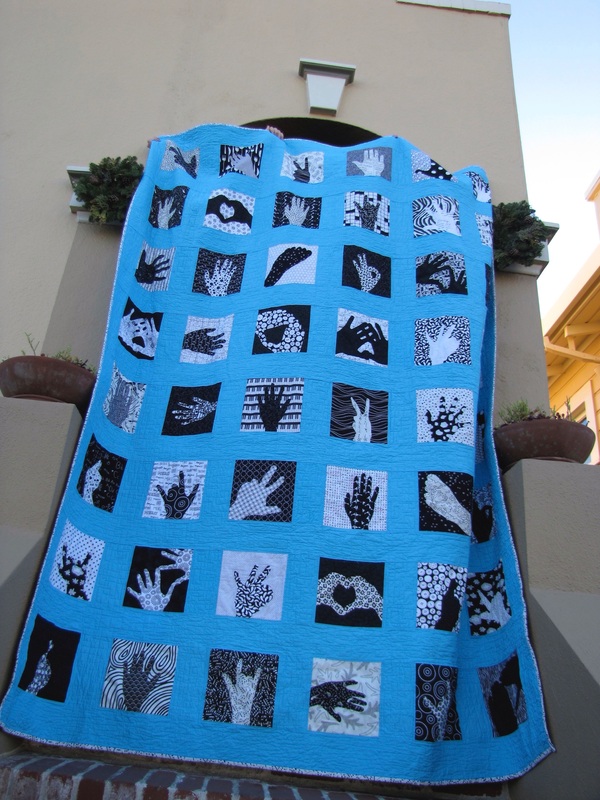 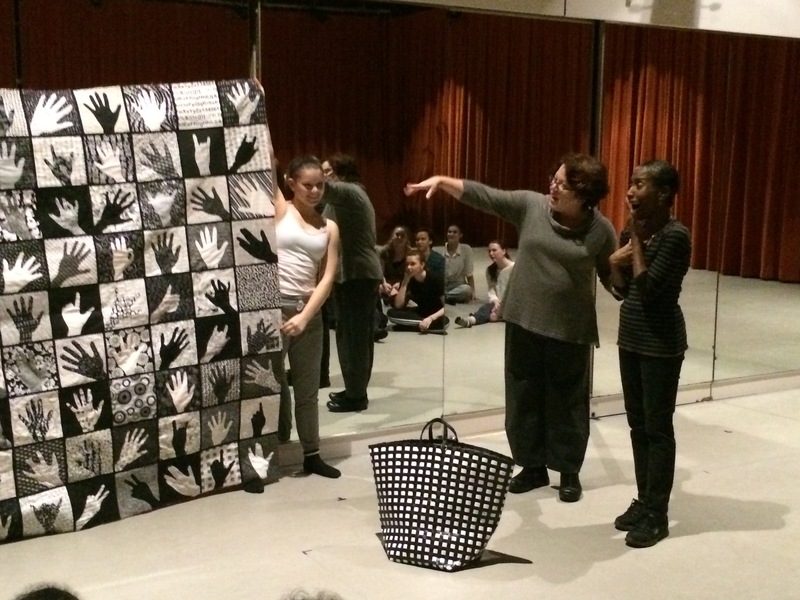 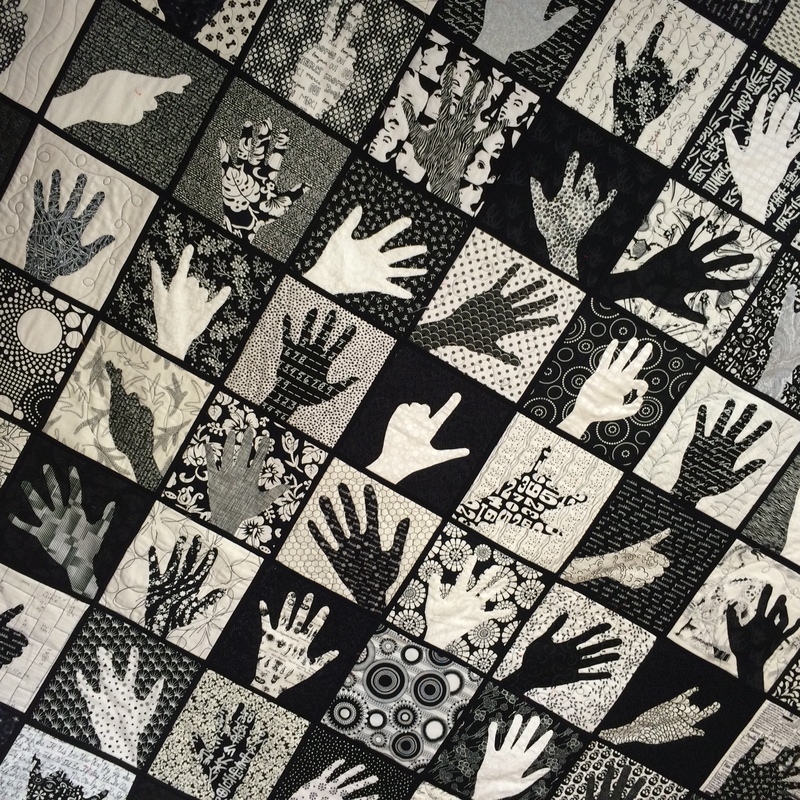 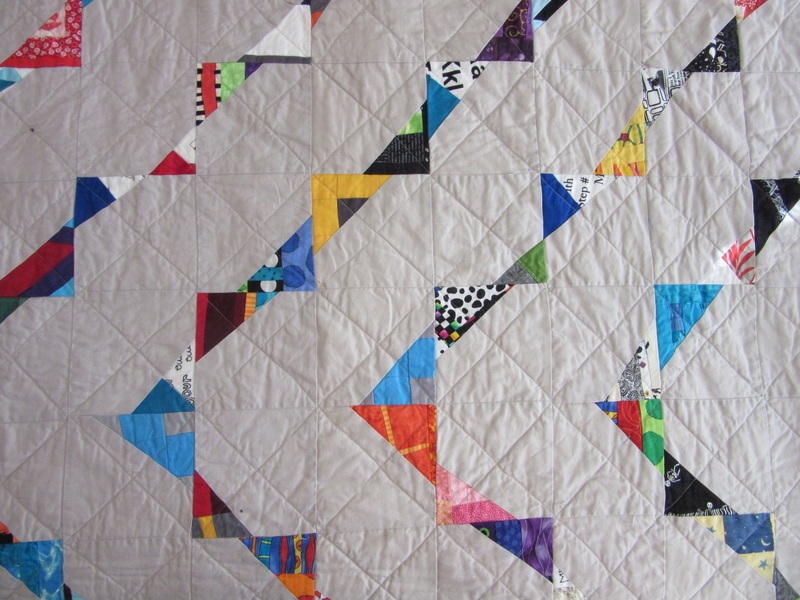 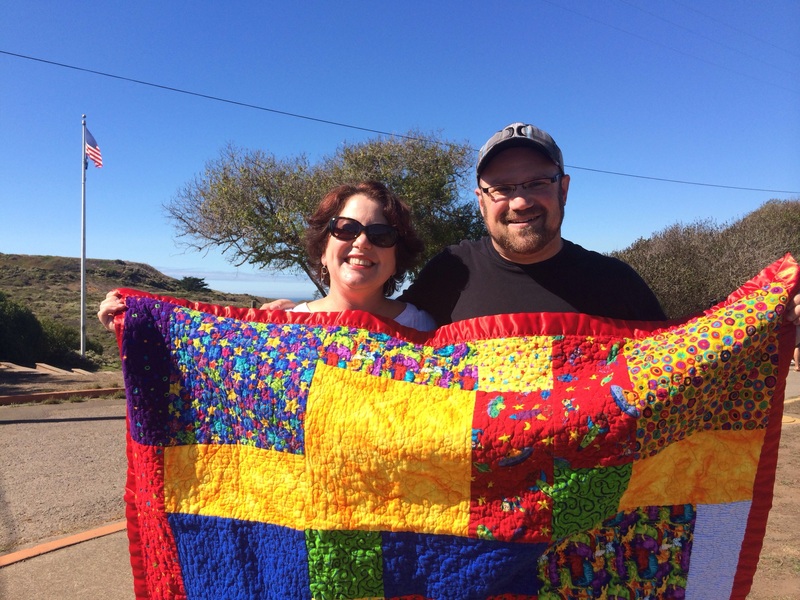 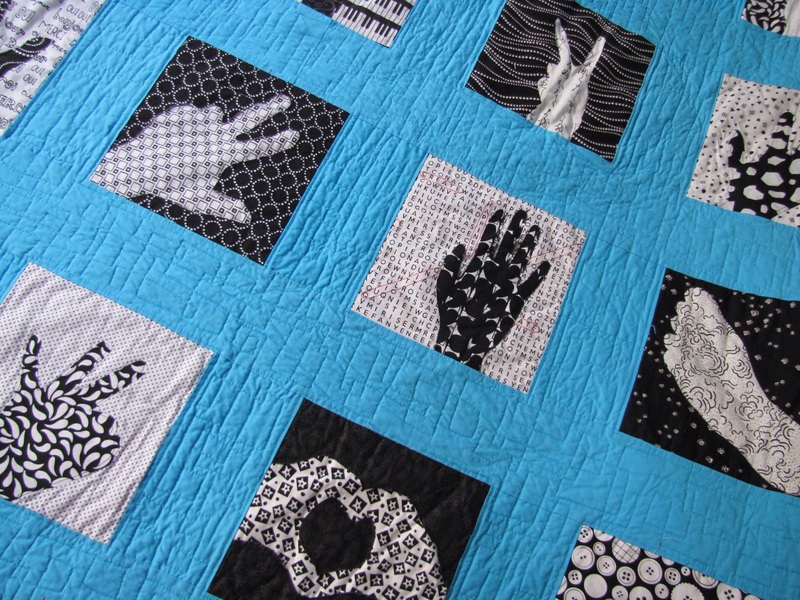 Loving Hands Auction Quilt: Handprints (and a footprint!) 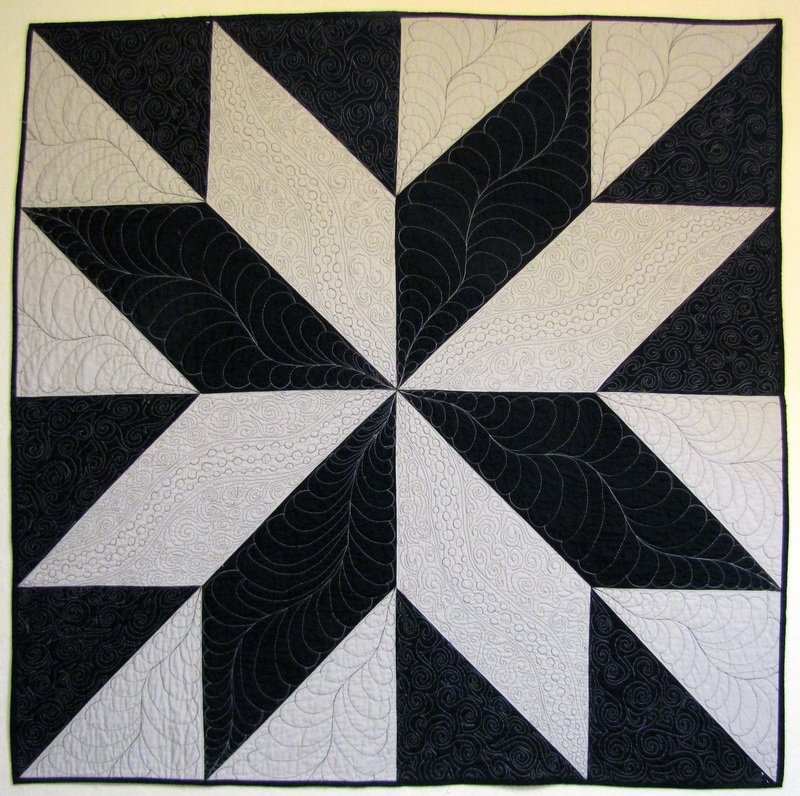 of family members for 50th anniversary gift quilt. 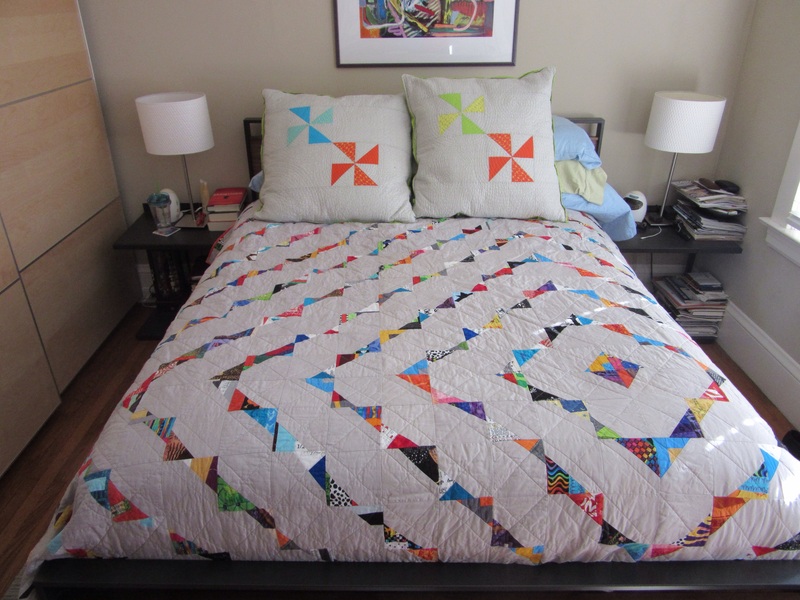 All lovely quilts. 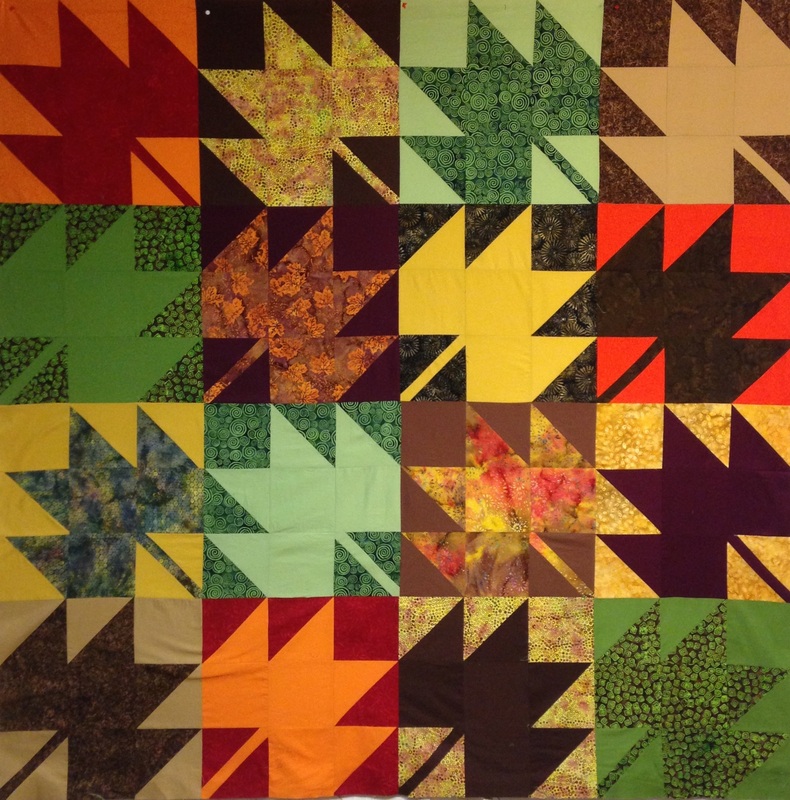 A great effort for 2014! 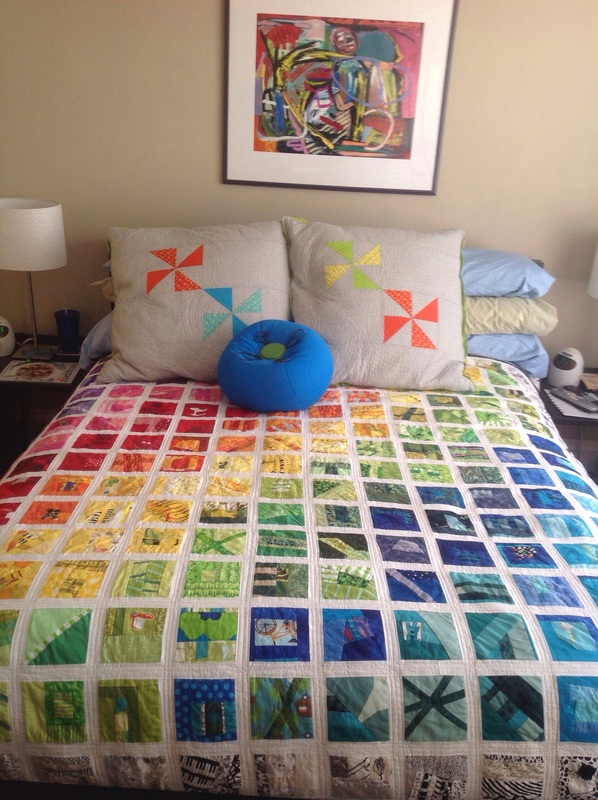 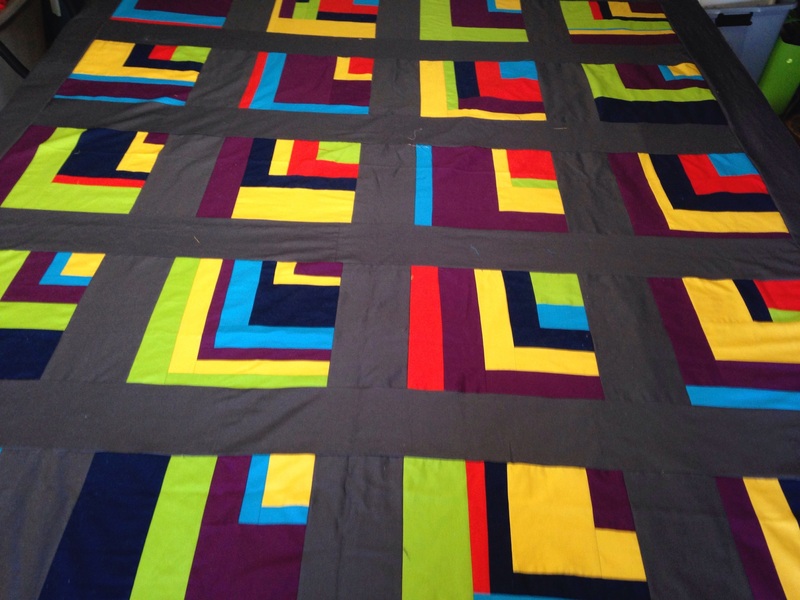 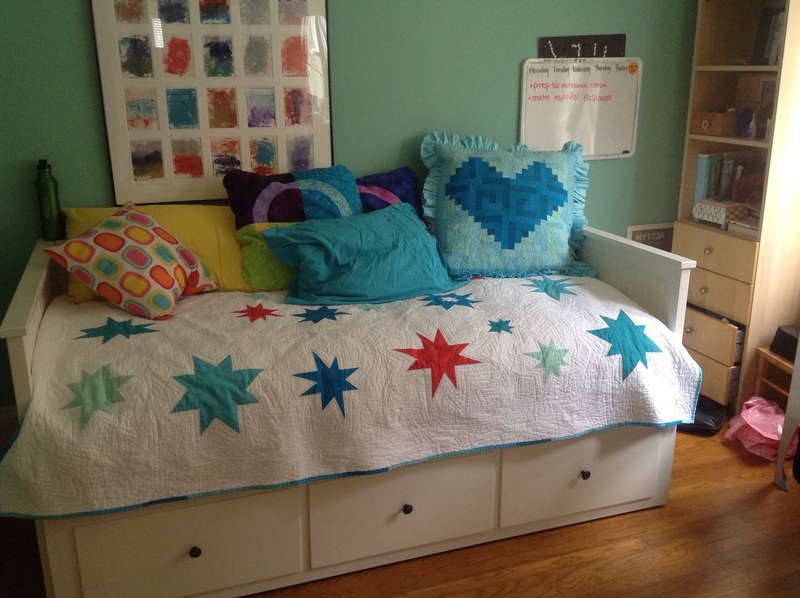 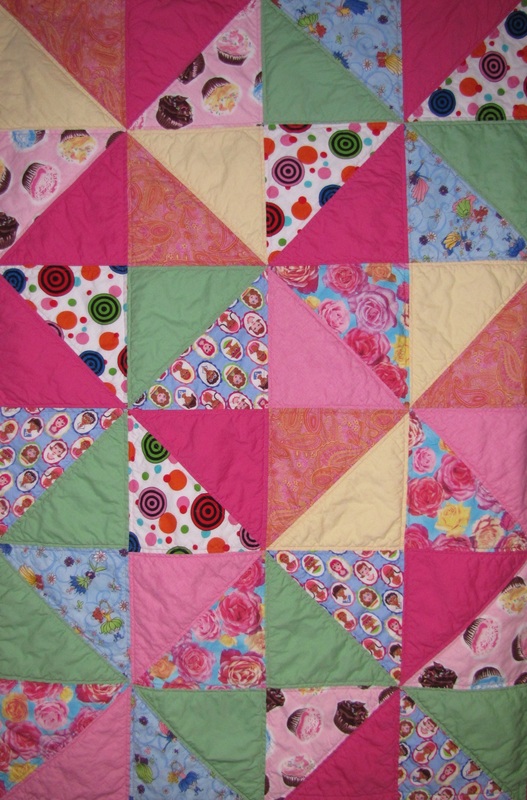 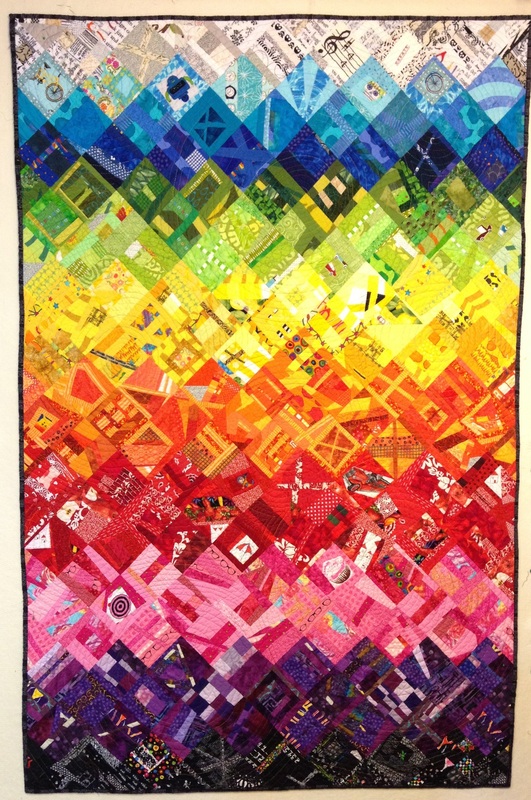 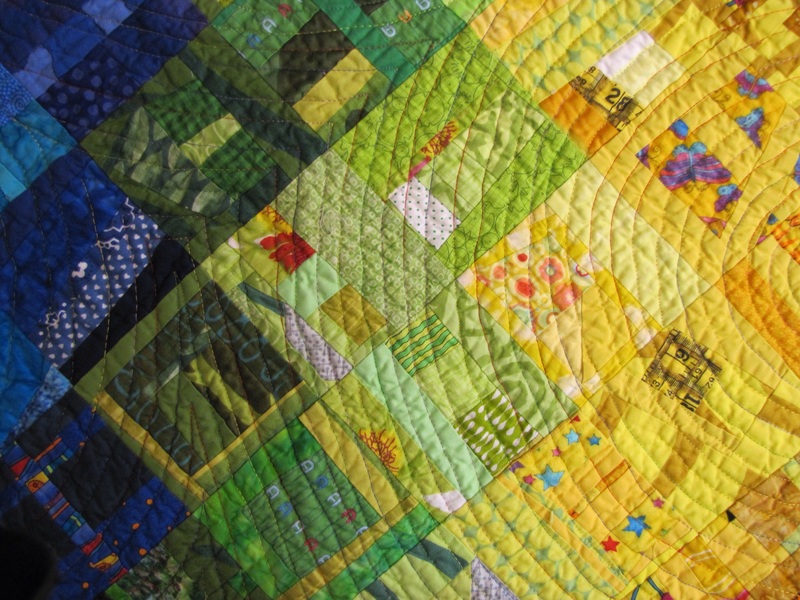 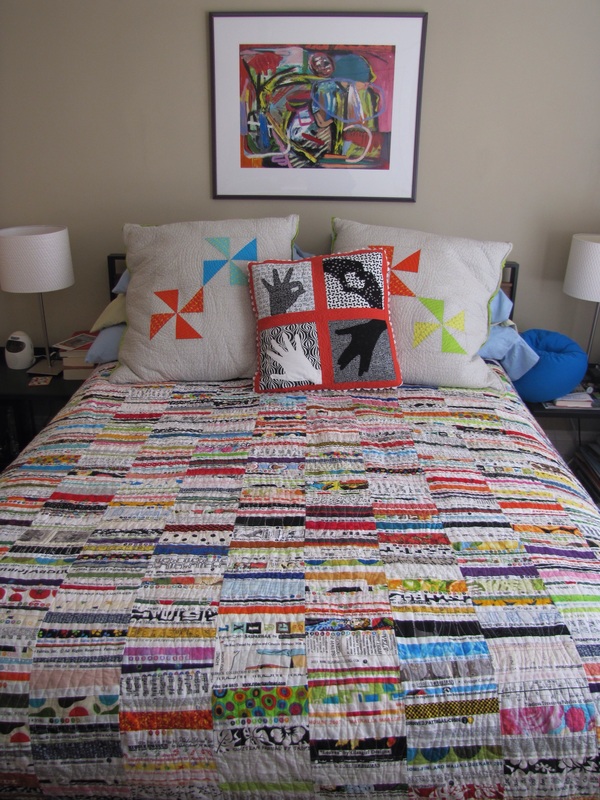 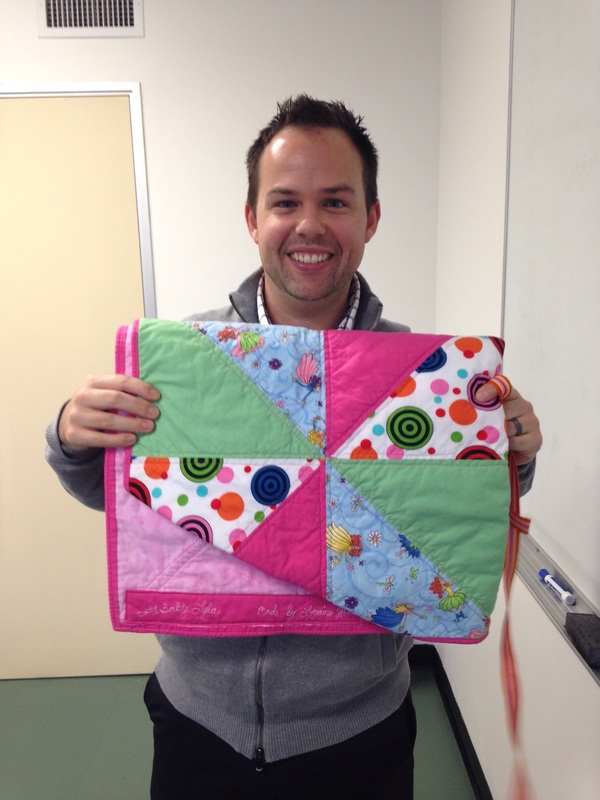 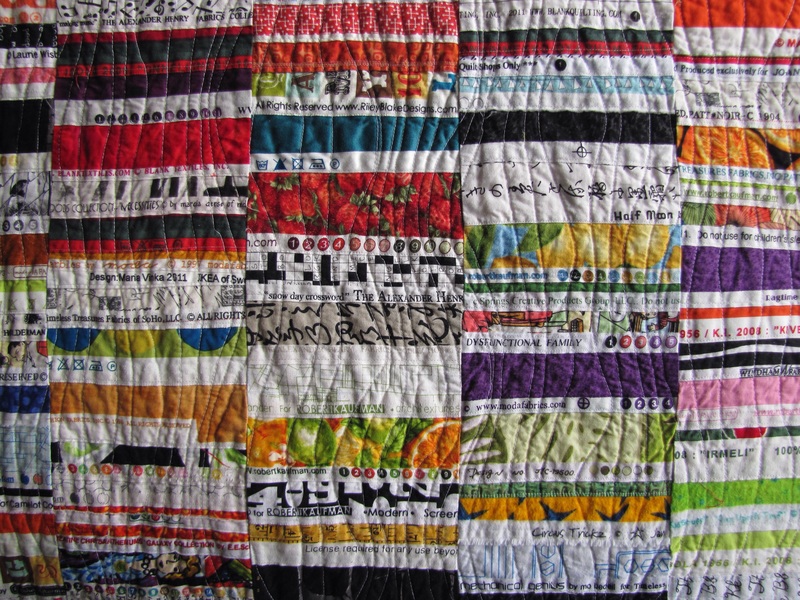 I love the loving hands quilts, especially and your use of color gradation in the many colorful quilts.